Alternate Current Radio presents: Boiler Room - Uninterruptible talk radio hosted by ACR's Hesher and Spore. Tonight the Boiler Gang includes Stewart Howe, Jay Dyer and Andy Nowicki discussing the Liberal Left feeling BURNT by the way Bernie flopped over to a Hillary supporter after having his nomination stolen by hook and crook. 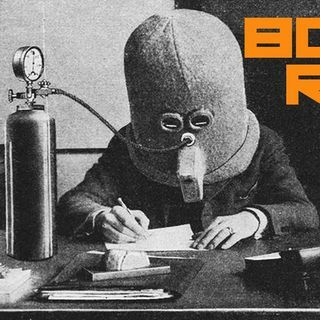 We delve deep into project Mockingbird/Gladio style stage managed terror events, the origins of Black Lives Matter, the media fiasco of the RNC/DNC and more on ... See More this very special 67th edition of Boiler Room. About muticulturlism and massmigration, i do see that there deep evil intentions behind it, they are step by step,country by county, breaking every resemblence of authority, the social and economic structures relatet to it, those structures which support socity, help to thrive or at the least prevent from colapsing, eather bei direct miltry action, by terrorism ,or mass migration, this is like u sead at least relatet to the population reduction agenda, just look around iraq,libya , syria, do not forget afganistan and somalia and the many african countries like mali sudan ....just imagen that instead of beaing a failedstate that somalia had had a functioning central govermant through the years, what would that country look like today? How would there population numbers today!! !, and u can from here extrapolate globaly, it is not about regame change or having an allie here or there, this is a very well thought global ruining plan and it is accelerating, and i think it is not order out of cheos, it is merly cheos.